My favorite things list definitely includes retro craft projects. They are so much fun, and a great way to recreate your own little artifacts from another time and place. 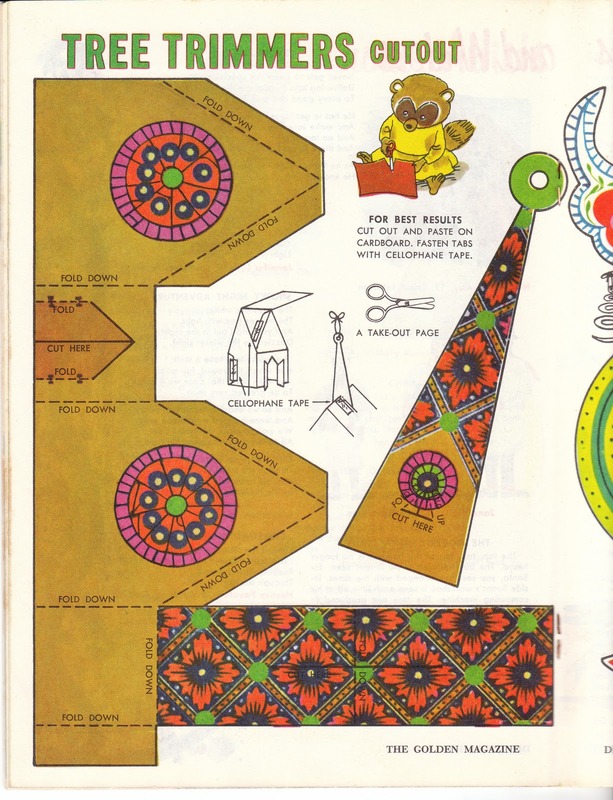 These craft cut-out pages are Christmas ornaments to cut out and assemble. For sturdier ornaments, you may want to reinforce them with foam board, mat board, or cardboard. They look so cute when hung with ribbon from a vintage look Christmas tree! 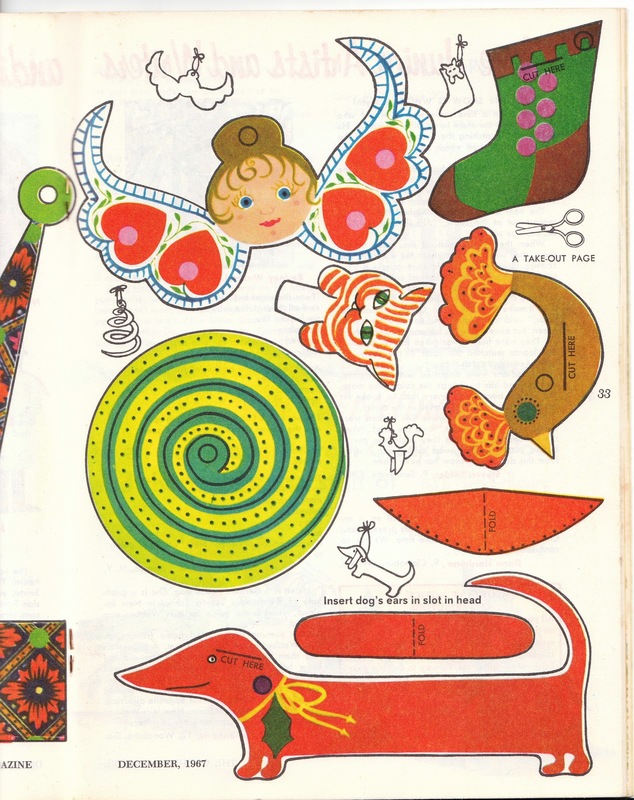 I'm including two pages from a 1967 children's magazine here for you to print or share with your favorite child or crafter. Included: a little red Dachshund dog, an angel, a bird, a snake, a Christmas stocking, and a church. Have fun!